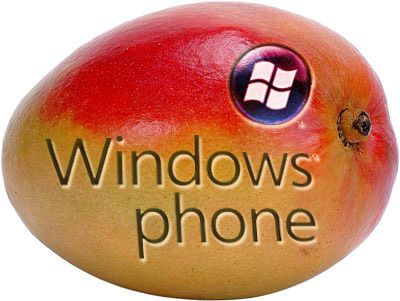 Microsoft is steadily making good progress of launching Windows Phone Mango. There has been some pleasing development for the platform. The App Hub has been updated and now it offers much more features to developers and is also available in 19 new countries. 19 new consumer markets: Developers can now publish their apps to consumers in 19 new countries, in addition to the 16 that Marketplace already supports. The 19 new markets include Brazil, Chile, Colombia, Czech Republic, Denmark, Finland, Greece, Hungary, India, Japan, Netherlands, Norway, Poland, Portugal, Russia, South Africa, South Korea, Sweden and Taiwan. 7 new developer markets: Also developers from 7 new markets can register in App Hub and submit apps. The 7 new developer markets enabled include: Chile, Colombia, Czech Republic, Hungary, Israel, South Africa and South Korea. In a couple of months (early fall 2011), developers will also be able to register from China. Microsoft will also expand the registration support already available in India. Updated price tiers: Periodically (such as with the addition of new markets) Microsoft will modify price tiers on a country-by-country basis to adjust for fluctuations in global currency exchange rates. The goal is to maintain consistent application pricing (net of applicable taxes) across markets. New private distribution options: Developers can now choose to distribute apps privately to users using two new options: beta and/or targeted distribution. Apps distributed through these private distribution methods can only be downloaded by users using a deep-link and the apps cannot be discovered via browsing or searching in Marketplace. Enhanced application management: For Mango, lots of improvements, big and small, to App Hub to give you better account management tools, a streamlined application submission process and enhanced reporting capabilities. Better application management: By selecting ‘Edit catalogue details’ on the app ‘Lifecycle’ tab you can now change the app metadata without submitting your app for re-certification, thus reducing the time to update and publish new information. New App Categories: To make discoverability of apps easier, 3 new top level categories (education, kids & family and government & politics) and several new sub categories have been added. In addition, during the app submission process, developers can now select categories and sub-categories for all languages.